#Introductions Hello! A new Mastodon user, I have no idea how this place works (yet) But Im here to stay! Howdy! 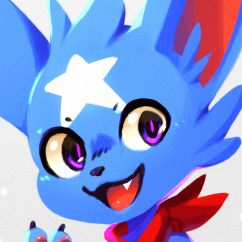 I like to draw space animals and animal characters. I&apos;ll post my most recent work here soon!